Rockstar has announced that the Ill-Gotten Gains: Part 2 DLC will be coming to the Grand Theft Auto Online component of Grand Theft Auto V. It will drop on all available platforms July 8th. 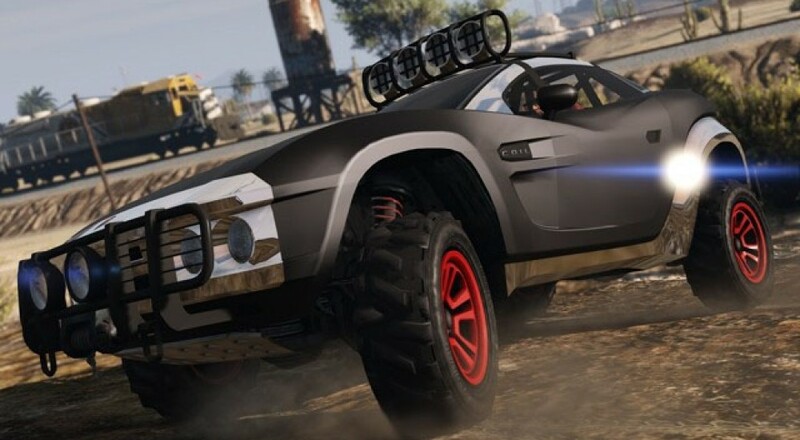 Rockstar also revealed that another Ill Gotten-Gains Event Weekend will follow the DLC's launch, starting on July 10th. Like Part 1, Part 2 of Ill-Gotten Gains focuses on vehicles, weapons, clothing, and other customization details. The six new vehicles introduced in IGG: Part 2 will be the Coil Brawler (pictured above), the Lampadati Toro speedboat, the Progen T20, the Vapid Chino, the Dinka Vindicator bike and the Invetero Coquette BlackFin. Two new weapons will also be available to players: the Marksman Pistol and Knuckledusters. Various new clothing will be available at Los Santos retailers in-game, including Independence Day and 4th of July themed items. Last, the Lab radio station will be available on PS4 and Xbox One (previously PC-only). The Event Weekend will run from July 10th to July 12th, but the details have yet to be revealed. Currently, a 2x GTA$ and RP event is live in GTA Online, running until July 6th. If you have yet to check out our review of GTA V, what are you waiting for? We gave it a 4 out of 5. Our review also now includes impressions of GTA Online a year after it launched, significantly improving the co-op mode in our eyes.